Carpeted in dense vegetation, surrounded by azure waters, and lined with golden beaches, Okunoshima looks, at first glance, like any typical holiday destination. 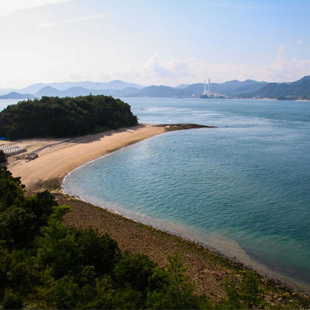 The small island lies just three kilometers off the coast of the Takehara municipality of Hiroshima Prefecture, in the Seto Inland Sea, and is home to a hotel and onsen resort, a swimming pool, a camping site, and biking and walking trails. The island is also overrun with rabbits. 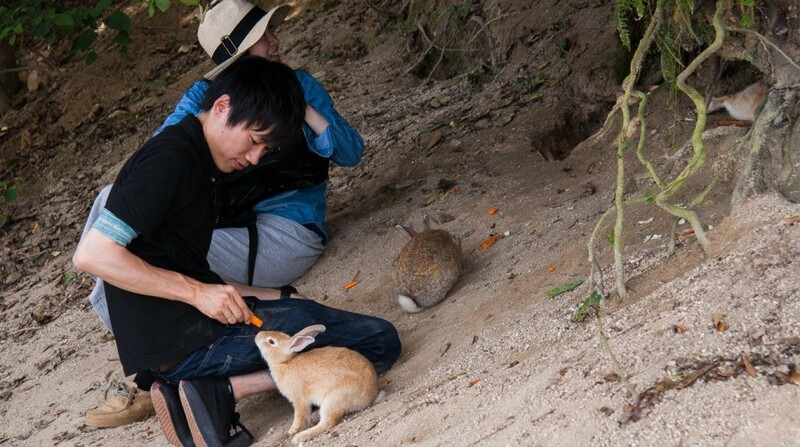 The vigorous little creatures regularly bounce up to visitors asking to be fed and petted, earning the island its nickname “Usugi Jima” (“Rabbit Island”). But while Okunoshima may be among the cutest places in Japan, it has a dark past, with ties to wartime history becoming more evident upon closer inspection of the island. At different locations dotted across the island’s four-kilometer circumference, the remains of grey, concrete structures are slowly being reclaimed by nature. 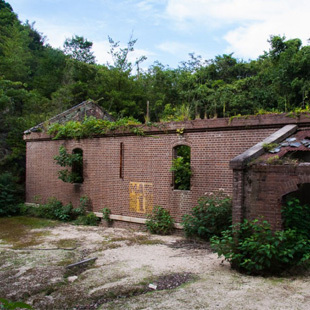 Shrouded in secrecy, the building ruins date back to World War II, when Okunoshima was the site of a secret poison gas factory. The Great Kanto Earthquake of 1923 had destroyed most of the chemical plants in and around Tokyo, and rather than reconstruct them, the military decided it would be cheaper to build a new one. Secluded from the big cities, yet close enough to the military installations at Hiroshima, Okunoshima provided the perfect location. The factory was established in 1929. At the time, Japan was a signatory of the Geneva Protocol. But they exploited its one major loophole, which led to the development, production, storage, and transfer of chemical weapons. Over six kilotons of mustard and sneezing gas were produced on Okunoshima, shipped to Kitakyushu, and weaponized for almost exclusive use in warfare against China. The entire operation was kept secret. The 6,000 factory workers were kept on a need-to-know basis and the island was removed from unclassified maps. At the end of the war, all documents related to the factory were burned, and the building itself was destroyed. The gas was disposed of via dumping, burning, or burying. No one was ever prosecuted. 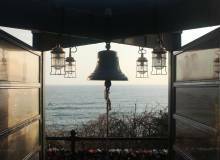 Decades later, the local government established the Poison Gas Museum on the island to expose its history and the horrors of chemical warfare, in the hope that it would inspire continuous peace. The museum exhibits artifacts including weaponry, original factory equipment, workers’ uniforms and diaries, and original photographs. Maps are also available for a self-guided tour of the different buildings located on the island, including the remains of the factory itself. You can also hike to an observation deck that has spectacular panoramic views of Okunoshima and the surrounding islands and sea, as well as the island’s electricity pylon, which is the tallest in Japan. It’s ironic that a place so closely tied to death is now brimming with life. 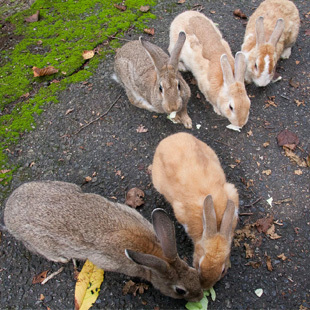 It’s thought that the thousands of rabbits that inhabit the island are the descendants of ones brought to Okunoshima to test the effects of the gases produced there, and then later released by the factory workers after the war. 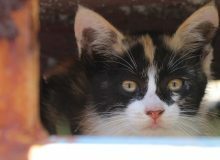 Although another account tells of a group of students who released eight rabbits during a school trip to the island in 1971. In any case, the predator-free environment allowed the original bunnies to flourish, and their offspring are eager to play. Pellets can be purchased from the souvenir shop of the hotel, but the rabbits prefer fresh vegetables, if you want to bring your own. Okunoshima is only accessible by ferry from Tadanoumi Port (tickets ¥630 round-trip; 7:30am-4:13pm). To get there, take the Kodama 723 bullet train from Hiroshima Station to Mihara Station. Change to the Kure local train bound for Hiro and get off at Tadanoumi Station; the port is a five-minute walk away.